Ctrl Promo is an innovative platform for delivering promotional music to your promo lists. We offer a state-of-the art platform with cutting edge features that maximises promo campaigns. Our platform will give you the tools to create, manage and deliver fully branded, professional designed promo campaigns as and when you need. 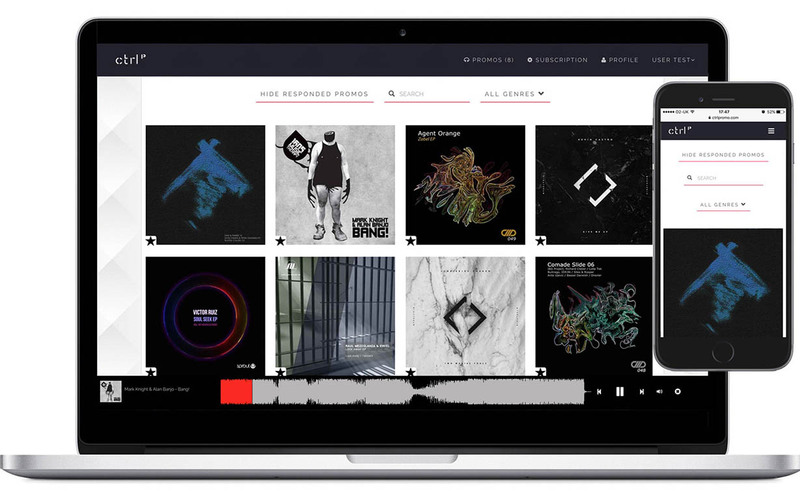 By subscribing to our pay as you go or subscription-based options, record labels and PR agencies can select a package based on their required needs and budget. 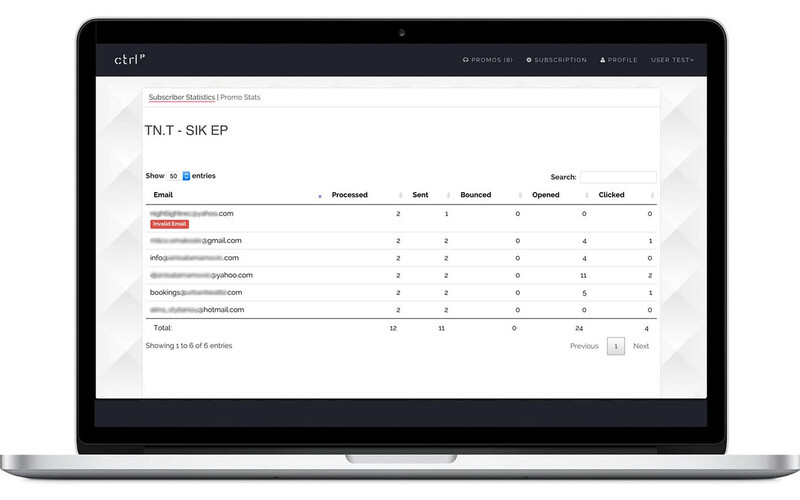 You can even manage an entire campaign directly from your mobile. Ctrl Promo is completely mobile optimized, allowing users to listen to your promo on the go and save to Dropbox. 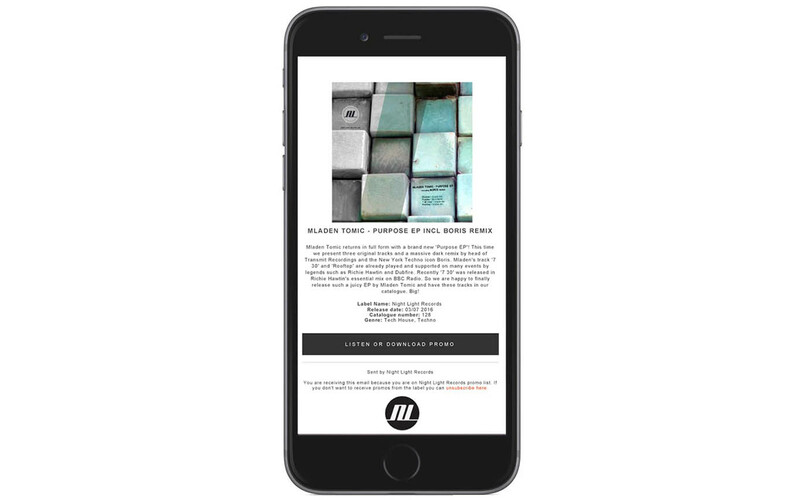 We create beautifully branded post-campaign reports and statistics after every campaign, alongside all your valuable feedback. 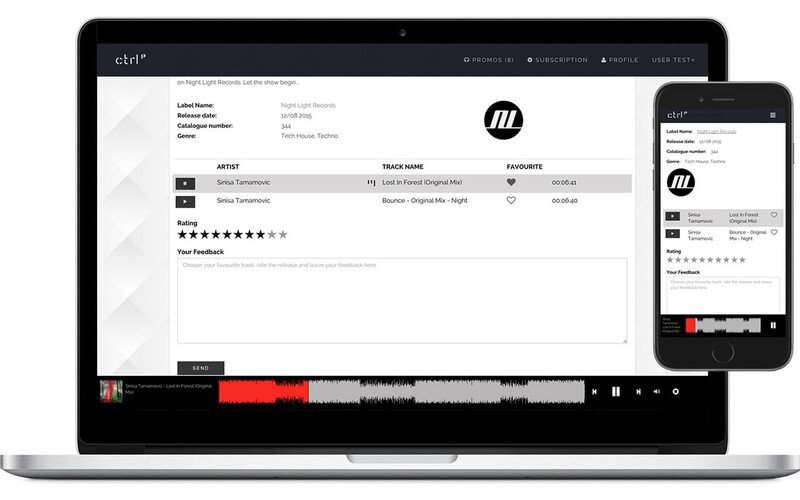 With Ctrl Promo you really are in control of your music and record label. You can create more then one label profile and send promos for each individually. 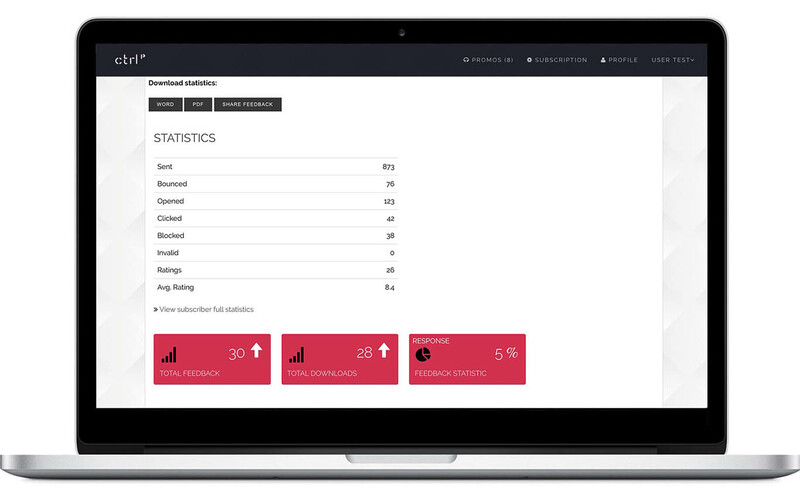 Our statistics tool covers all what you need! Now you can listen to all your promos with your mobile and save them directly to dropbox. You can upload the release with your mobile, upload files from dropbox or from your cloud drive. 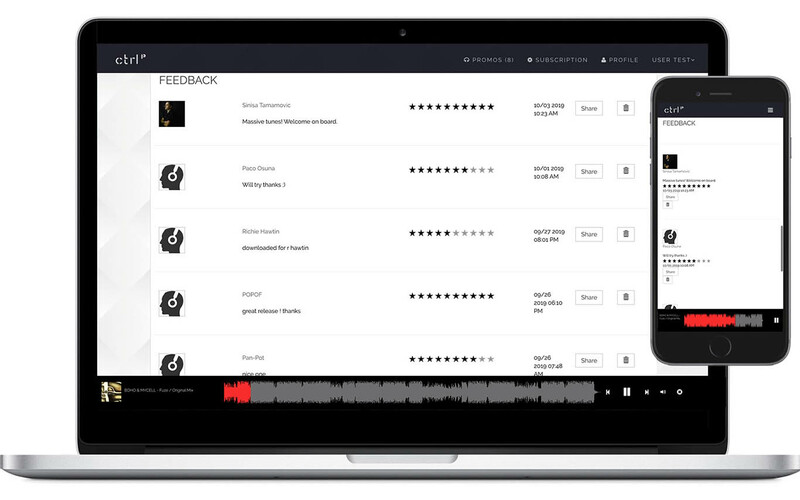 Show feedback to your subscribers on the promo campaign. 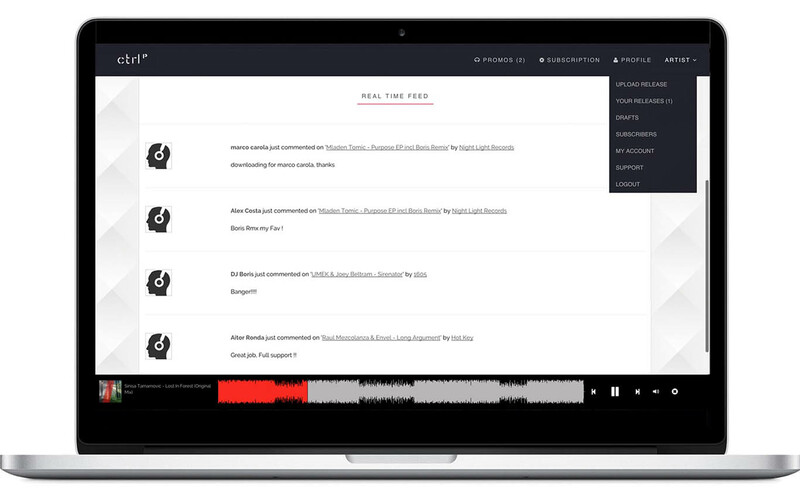 Our main 'promos' page is the Real Time Feed which will show the latest comments to subscribers linked to your label and release. Save time and schedule when your release will be sent or deleted. 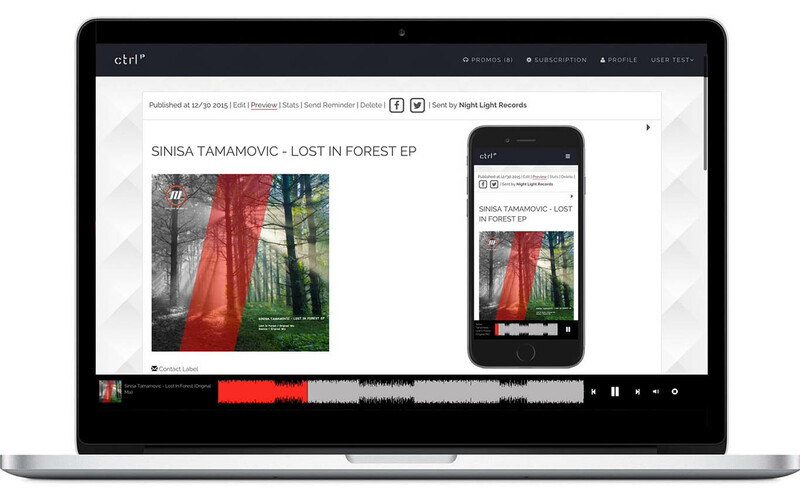 Our carefully designed waveform player allows you to listen to promos whilst browsing our platform. If you have a desire for any more features, new creative ideas or business proposals, don't hesitate to write to us! You can cancel or change your package at any time. Why are you waiting? Send your promo immediately after the payment. Please feel free to get in touch with your opinion and if you have any questions about our platform or packages, don't hesitate to contact us.